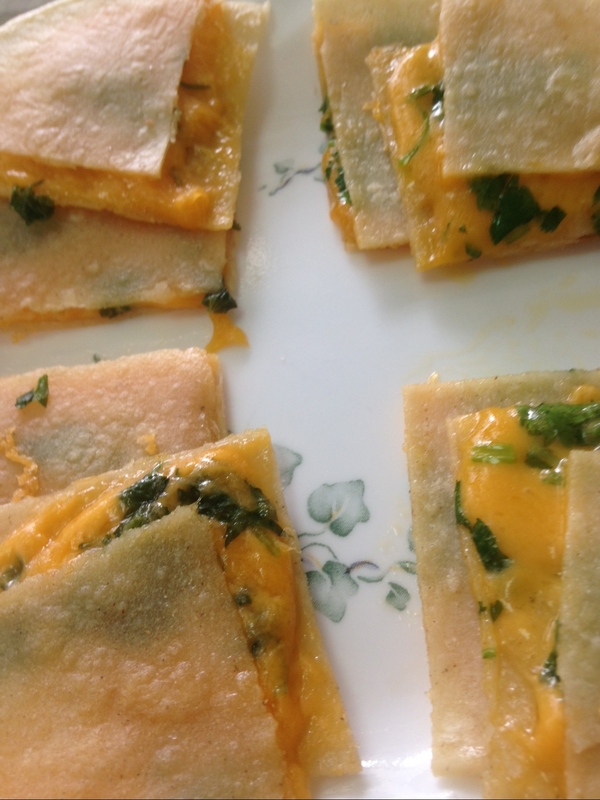 If you are a regular reader of this blog, you may notice that Amelia and I always grate our own cheese. 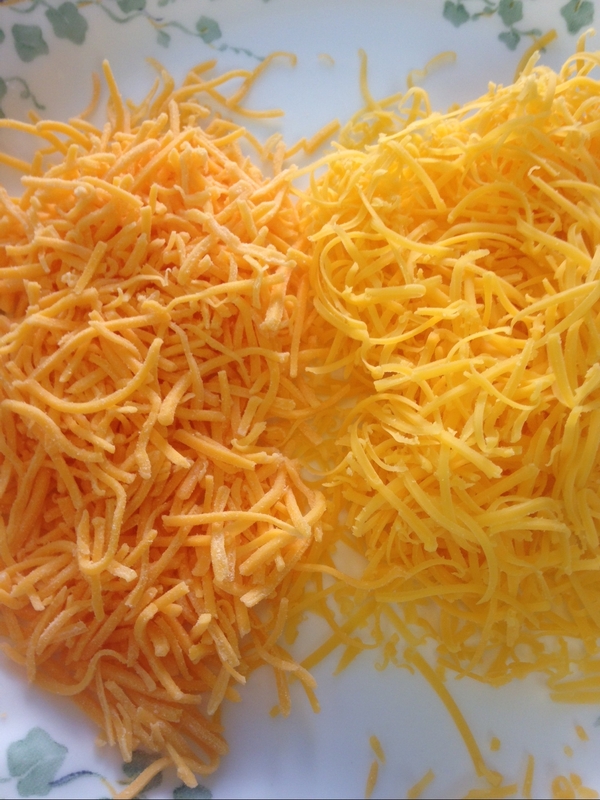 Pre-shredded cheese just seems to taste funny and doesn’t melt as well as we’d like especially in soups and dips. But why? 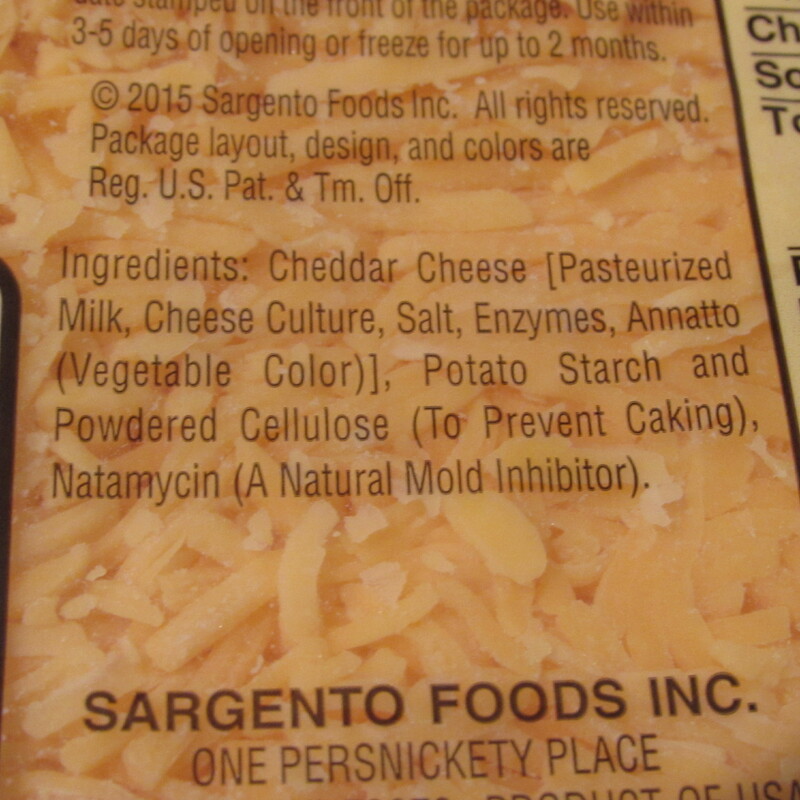 If you look closely at a package of pre-shredded cheese, you may notice the obvious – it’s not just cheese. Cheese makers use additional items like potato starch, powdered cellulose, calcium sulfate and natamycin to prevent the cheese from sticking together and molding. Powdered cellulose is made primarily out of wood or cotton fibers. Calcium sulfate is a white rock commonly found in things like plaster of paris or drywall, and is ground into powder and used to keep things dry. Natamycin is an anti-fungal agent which is also given in much larger, clinical doses to treat fungal infections such as Candida and Aspergillus. 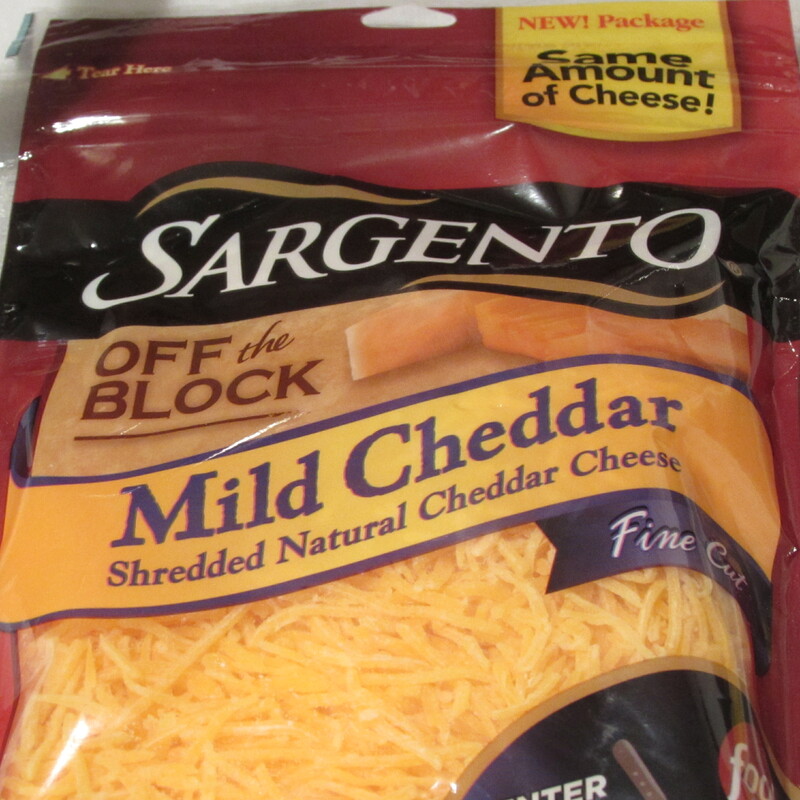 So, while this package of “off the block” cheese may have begun that way, it eventually was mixed together with a bunch of chemicals to give it an unnaturally long shelf life. 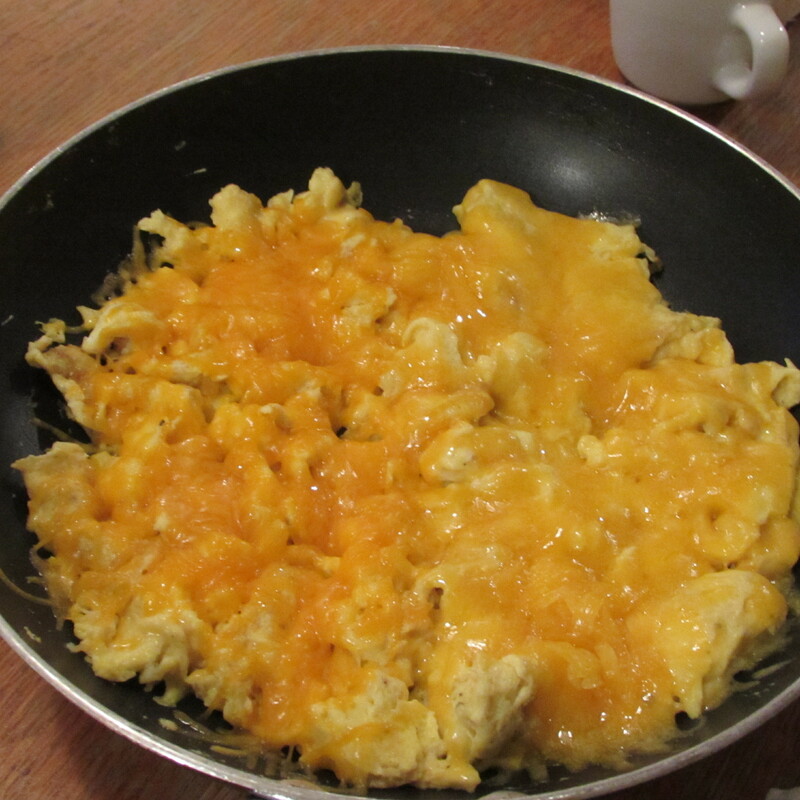 We decided to conduct a little experiment of our own. 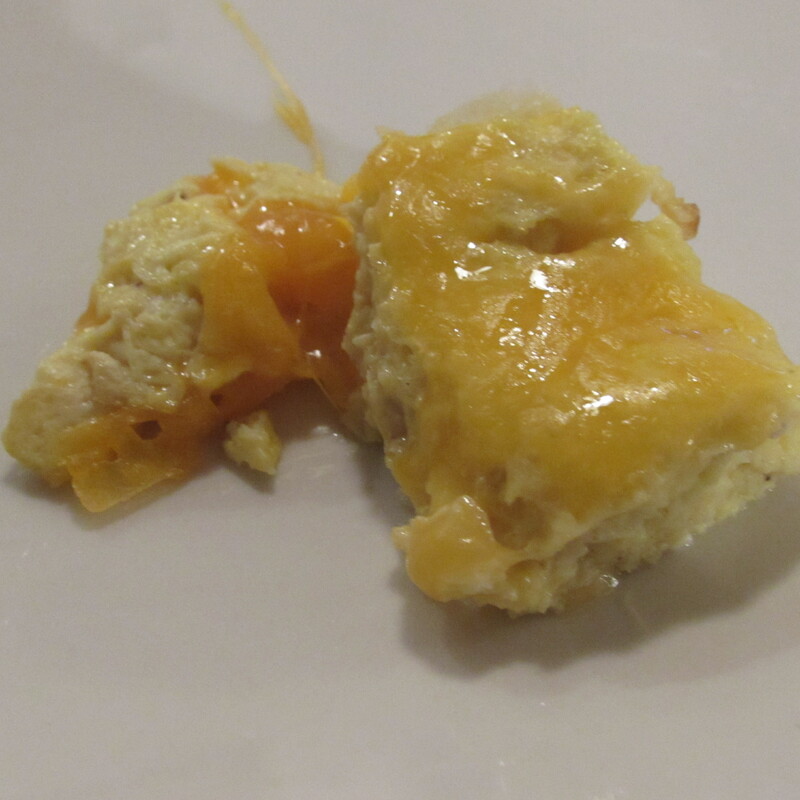 Real cheese vs. Frankencheese. Here are the pictures so you can judge for yourself. Spoiler alert: the family chose real cheese. Next time you are at the store, go for the real cheese. It only takes a few seconds to grate by hand. 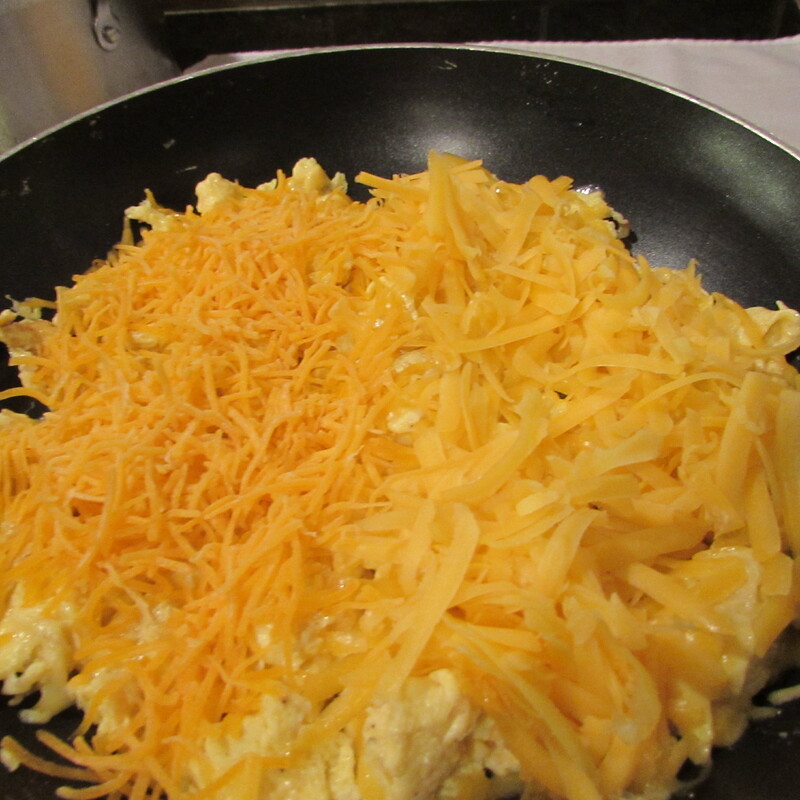 Or, if you like to have a larger quantity of it on hand, grate a bulk of cheese and keep it in an airtight container in the refrigerator or freezer. 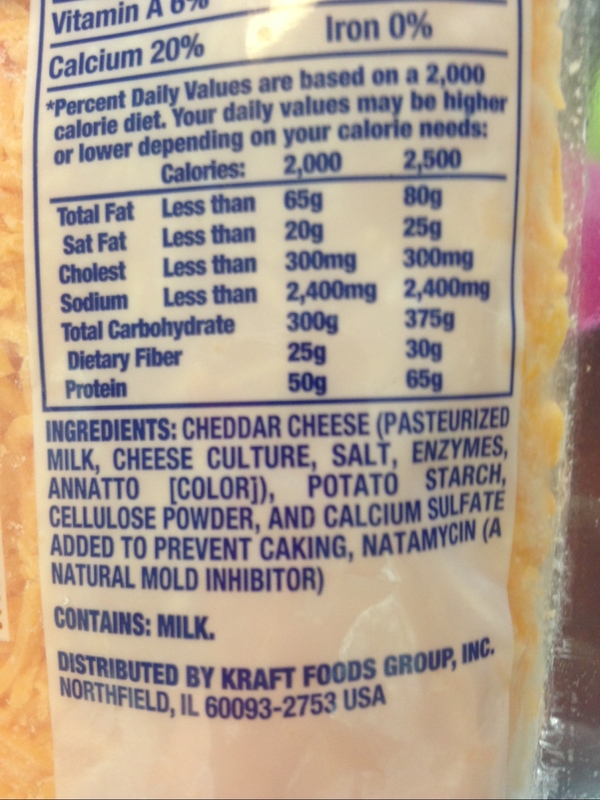 Tags: calcium sulfate in cheese, food, grating and storing cheese, is packaged shredded cheese carb free, natamycin, natamycin in cheese, powdered cellulose, powdered cellulose in cheese, shredded cheese vs. block cheese, what is in packaged shredded cheese, why doesn’t my shredded cheese melt nicely, with images. Bookmark the permalink.